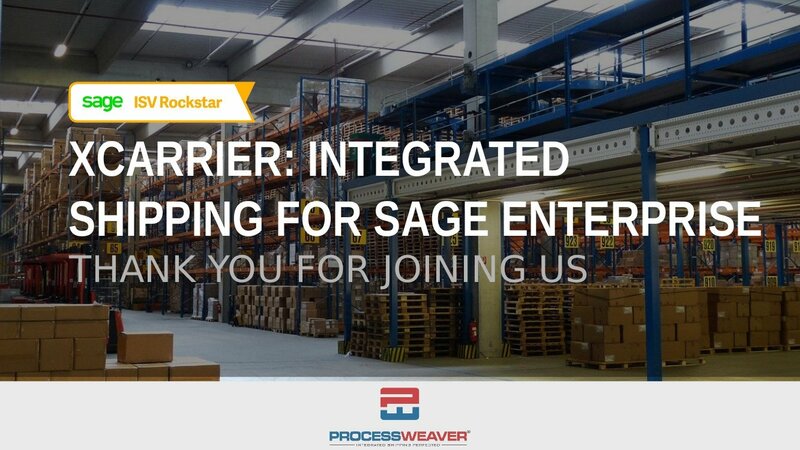 ProcessWeaver is certified Global Rockstar ISV for SAGE products and over 260+ Carriers which provides added security and seamless integration for processing shipments. ProcessWeaver is a global TMS software solutions provider that develops a full range of multi-carrier, multi-modal transportation management systems. 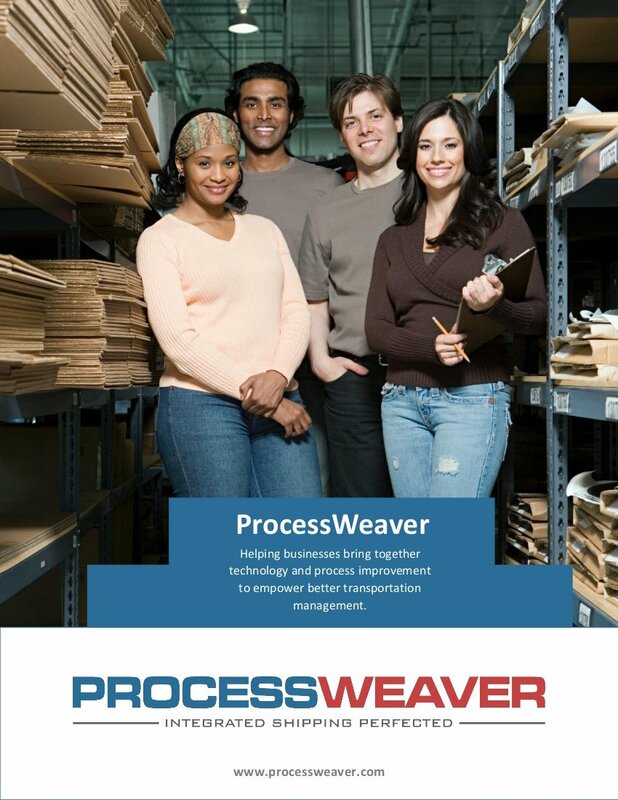 ProcessWeaver wants to change the way businesses utilize technology and process improvement to empower better shipping. We deliver solutions that are informed by years of work with manufacturers, consumer products, wholesale distributors, aerospace, telecommunications, high-tech, pharmaceutical, and other industries. We understand that managing transportation activities can be especially complex, and any system you use needs to operate as an extension of your key business systems with SAGE, E-Commerce, and CRM. At ProcessWeaver we believe that transportation management systems should be easy to use, be built on a solid architecture, and comply with the unique requirements of your business, your carriers, and your customers. In addition, the transportation management system you use must be flexible, adaptable, scalable, and realistic. 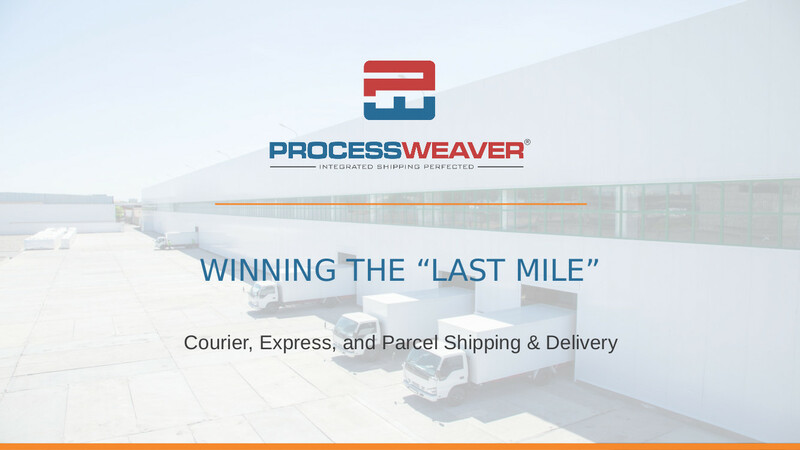 Used in more than 10,000 distribution centers and warehouses globally, there is a reason that millions of packages are shipped each year on systems provided by ProcessWeaver. Since 2014, Gartner, one of the leading research analyst firms for technology has listed ProcessWeaver as one to watch in TMS Magic Quadrant. Our clients range from small privately held businesses to large, globally located publics companies. Whether your business ships 20 or 50,000 orders per day, ships them via your own fleet or with parcel, LTL, TL, Ocean carriers, ProcessWeaver can help your business automate processes, reduce labor and transportation costs, re-purpose transportation and supply chain information across SAGE enterprise, and enhance customer service.